Monthly Lifestyle Buzz for March 2019 — Meridian Wealth Management, LLC. Stop the presses: photons are powering a breakthrough. Better phone and tablet habits might just promote improved personal finances. Bodyweight training can give you a workout without equipment. Every year seems to bring new advances in 3-D printing capability. Now the technology has taken another major step: the usual method of printing objects, layer by layer, could soon give way to printing whole objects at once, using high-intensity light. It is so easy to spend an hour a day (or longer) on major social media websites. Is that behavior a net positive? (Pun intended.) What if we spent more screen time using applications that could help us plan to spend and save wisely rather than simply just spending time distracting ourselves? Imagine getting a great workout and quality strength training, without touching a machine. Bodyweight training offers such a path, for young and old. As the phrase implies, bodyweight training uses just your bodyweight for resistance. Place a roasting tray in the oven, then preheat the oven to 425°F. Chop the herbs, cut the lemon in half, and tear or crumble the bay leaves. Rub the cavity inside the chicken with sea salt. To season the chicken breast, carefully grab the skin at the top of the chicken breasts and gently separate from the meat of the breast. Rub in salt, add pieces of butter, and push in most of the chopped herbs. 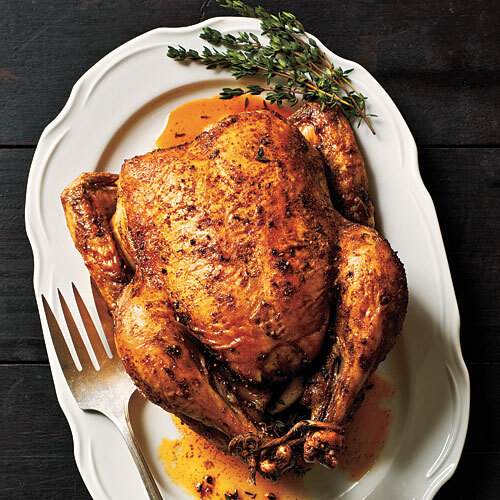 Insert the lemon halves inside the chicken along with the bay leaf and rosemary sprigs, then return the skin of the chicken breast over the flesh, tuck the wings under, and firmly tie up the legs. Rub oil and butter over the chicken skin, sprinkle on the remaining chopped herbs, and season with salt and pepper, to taste. Put a few small slashes in each thigh to allow the heat to penetrate directly. Take the heated tray from the oven and drizzle with enough oil to coat the pan. Put the chicken into the tray (breast-side down and leaning to one side), then place in the oven and brown skin. Roast for 5 minutes, then lean it to the other side. As an alternative, you can place chicken breasts into a large frying pan or Dutch oven, add oil, and brown before transferring them to the oven. If only browning in the oven, cook for an additional 5 minutes, then place the chicken on its bottom and cook for approximately one more hour until skin is crispy and golden brown and juices run clear.